The following was written by Ron Smolowitz, a Falmouth farmer and member of the Citizens for Ecological and Economic Sustainability addressing Question 1 on Falmouth’s May 20, 2014 ballot. There are many reasons one can be “against” sewers: they are expensive to construct and maintain and they use a lot of drinking water and energy to operate. However, those that are “for” sewers argue that sewers are the only proven technology, and if we don’t start installing them now the “Government” will force them down our throats, and sewers will only become more expensive in the future. In time, I might be able to accept a $50 million sewer project around Little Pond, but I believe a $600 million-plus project will bankrupt the Town of Falmouth. I strongly believe the town’s leaders are driving us headlong into the $600 million expenditure, and we need to send a signal to take the time to do this right. A no vote on Question 1 is the signal; it is not a “no” to sewers, anywhere, ever. We have the time. Haste makes waste. Why do I believe this doomsday scenario of bankruptcy? 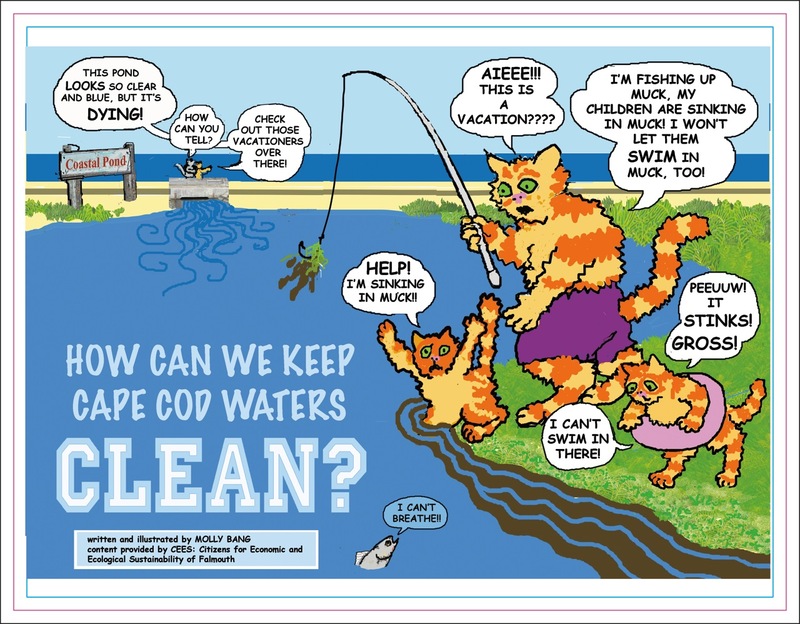 First, let us examine the Town’s Water Quality Management Committee (WQMC) process. The WQMC is made up of hardworking volunteer citizens appointed by the town’s leaders. Hard work is always the reason given to go along with any committee’s recommendations. Well, I am sure the appointed justices of a stacked Supreme Court are hardworking, but it still doesn’t prevent the 5-4 decisions engendered by stacking. In addition, the WQMC is advised by paid consultants that represent the “big pipe” solutions as the way to go. If the Town’s leadership truly wants to allay my fears, they should take the logical step of adding additional citizens to the committee that are advocates for alternative solutions. This should not be controversial since the WQMC tells us Little Pond is the last sewer. Let’s get back to the issue of technical advice to the WQMC. Currently, Falmouth’s wastewater superintendent and his paid consultants provide the advice, not only on sewers, but also the alternatives. When a particular alternative was chosen for study, such as oysters, an appropriate consultancy was attained for guidance. However, the sewer people are actually in charge of the alternatives! That is like Stop & Shop hiring PETA members to manage the store’s meat counter. If the Town’s leaders were truly interested in alternatives, they would have the Marine and Environmental Services Department run all the in-pond projects using the appropriate ecological consultants. Remember, the whole purpose of this exercise is to reduce the nutrient loading in our coastal ponds. Maybe then, with a reformulated WQMC and an ecologically-oriented town department, we can start testing additional alternatives that have promise— such as restorative dredging, vegetative barriers, and Biocord arrays. Alternatives do not take sewers “off the table.” In fact, the $600 million sewer system is still on the table. By testing alternatives, we’ll be provided insights into much less expensive options. 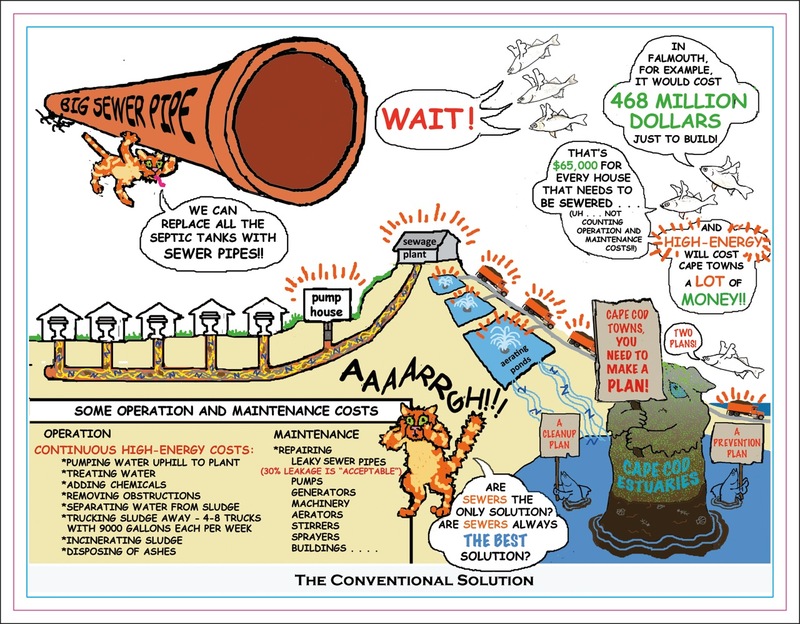 We have the time to do this – it is all in our Comprehensive Wastewater Management Plan (CWMP). Section 1. Notwithstanding any general or special law to the contrary, the town of Falmouth may assess and collect interest on an unpaid balance of a wastewater betterment assessment at a rate up to 2% above the net rate of interest chargeable to the town for the project to which the assessment relates. Section 2. Notwithstanding any general or special law to the contrary, the town of Falmouth may apportion all wastewater assessments or unpaid balances of assessments over a period not to exceed thirty (30) years, and may structure the payments so that the amounts payable in the several years for principal and interest combined are as nearly equal as practicable. These equal payments may be further apportioned and collected by the town on quarterly tax bills at the option of the town. An owner of land assessed may pay the total remaining principal amount due without a prepayment penalty. Section 3. This act shall take effect upon its passage. Or do or take any other action on the matter. On request of the Board of Selectmen. 2. The amended language allows greater flexibility for application of betterment to other wastewater management options as proven applicable such as those approved in Article 17 of the April 2011 Town Meeting that included about $2 million for demonstrations. Also makes special legislation applicable town-wide particularly in impacted watersheds. 3. It is nothing new; betterments for sewers and septic system repair, replacement or upgrades (e.g., eco-toilets and other I/A systems) are currently allowed per Mass GL Chapter 80 and Chapter 111, Section 127B1/2, respectively. It assumes betterments can be used to install fixtures on private property. This is not true except for certain circumstances regarding habitability. The referenced laws are totally inappropriate as they deal with sewers, drains, sidewalks. This was, at a minimum, misleading. Betterments can be used to cover the costs of fixtures on private property and Barnstable County has been issuing such betterments for years, using millions of dollars of State Revolving Funds (SRF). They can be issued for the purpose of nitrogen reduction. 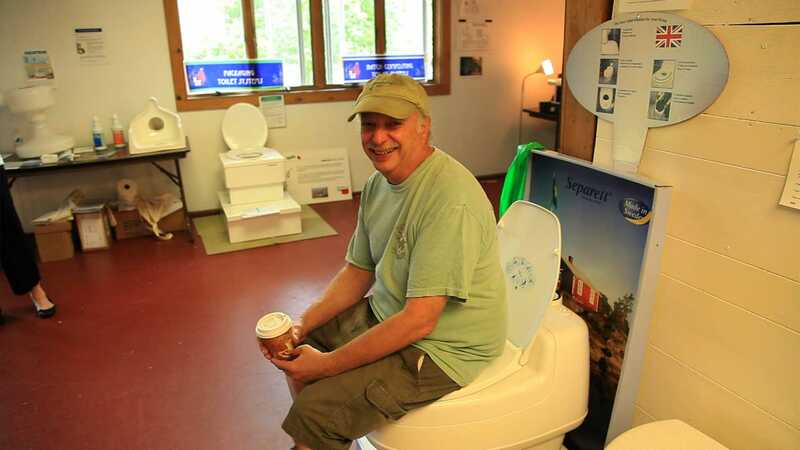 Eco-toilets are not approved by DEP for nitrogen reduction. The WQMC Chair then said the change from sewer to wastewater “completely changes the context of the bill” by asking to redefine betterments. We were not asking for betterments to be redefined; the existing definition covers wastewater. The WQMC Chair did say the proposed change from sewer to wastewater was a motion made at the WQMC, but died for lack of a second. This goes back to my original point that the WQMC is stacked against alternatives when it can’t even get a second for discussion purposes. Hey, while we are at it I got a great deal for you. For only $5,000, you can buy this stainless steel BBQ grill; twin exhausts, buily-in TV, WiFi, chrome side trays, fully assembled. Interest free; thirty years to pay. Would you take that deal when the goal of grilling meat can be well accomplished with a hundred dollar grill? There is zero interest, 30 years to pay- why not? Because you can do it for $100! This zero interest loan stuff is a ploy used by salesmen everywhere trying to sell unnecessary products. Then there is the issue of retiring debt, the given answer for how the sewer project is only going to cost Falmouth homeowners a twelve-cent increase in tax rate. That is clearly a politician’s answer to a complex question. We all have debt: mortgages, credit cards, home equity loans, bar bills (mine likely to go up with sewers), etc. In the case of the town, if we pay off debt (which lowers the tax bill) and don’t replace the debt; the voters would have to approve any new borrowing. Replacing debt with new debt does not save money. Using retiring debt to pay for sewers defers or displaces other capital investments such as emergency vehicles, recreation facilities, senior centers, water main replacement, marine improvements (bulkheads, ramps, and moorings), and alternative ways to reduce nitrogen loading in the estuaries. Officials may tell you that these various expenditures are treated differently, but the money comes out of the same pocket: the taxpayer’s. Why would anyone spend $40 million when you might be able to accomplish the same goal for only a few million? The only difference is the need to spend additional time researching alternatives. Comprehensive wastewater management planning is a locally managed, community-wide process that evaluates current and future wastewater needs, compares alternate solutions, and chooses a final plan based on cost effectiveness and environmental impact. The resulting document is called a Comprehensive Wastewater Management Plan, or CWMP. To be eligible for SRF funding for implementation projects, a CWMP must be reviewed and approved by DEP. DEP’s review ensures that nitrogen targets in the TMDL will be met and also that the plan addresses other issues in DEP’s Guide to Comprehensive Wastewater Management Planning. There are no specific timelines for completing the implementation process, but DEP does expect the CWMP to include specific steps and estimated dates for their completion. Ten to fifteen years is a reasonable timeframe for full implementation of all proposed measures, but this will vary widely depending on the amount and source of nitrogen, the complexity and cost of implementation steps, and the mix of solutions proposed. DEP and EPA recognize that restoring polluted waters is a long-term process, particularly when groundwater is polluted by nonpoint sources. For this reason, DEP supports an adaptive management approach to implementing a TMDL: taking the most cost-effective measures first, measuring their impact, and making adjustments where necessary. Giving priority to projects with more immediate impacts on water quality will help communities adjust implementation steps if needed. I couldn’t say the above facts better myself. If someone tells you the government— fed or state— is mandating sewers, they are lying to you. Falmouth officials proposed the sewering projects, not the state. The idea that we should have voted in sewers ages ago dismisses the wisdom of our predecessors. Since 2005, we have spent $22.5 million just to maintain and upgrade the small system we did install. They understood in the past that large infrastructure projects have large costs on a continuing basis. So where are we in this process? In January 2014, the state reviewed and approved the environmental impact statement for the Falmouth CWMP and issued a certificate. In our CWMP we said we were going to use an adaptive management approach, taking a look at sewers and alternatives, and adjust our plans accordingly. There are no deadlines; in fact, the Certificate mentions the Cape’s 208 process examining alternatives and indicates that process will take several years and will help inform Falmouth’s plan. You can read the certificate and conclude that it requires sewering of Little Pond because the town put that into its plan, however, it clearly states the plan can change as new information comes to light. 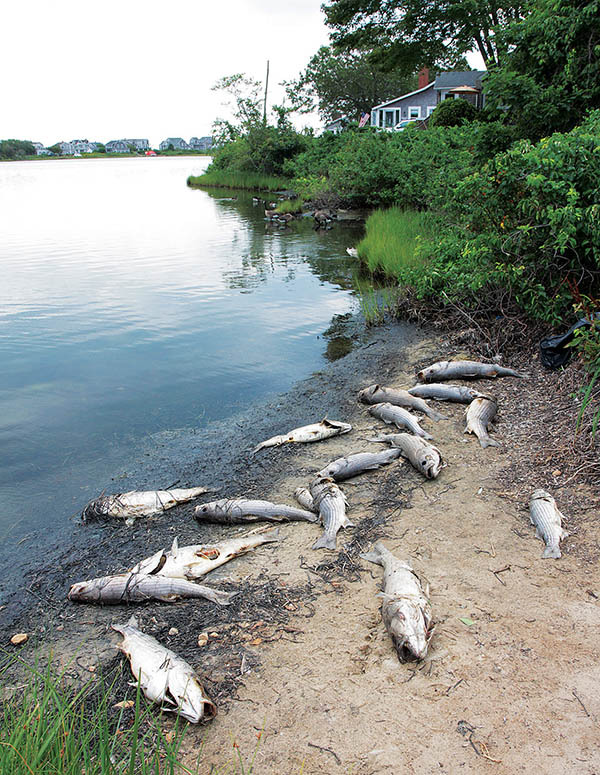 Now is the time to clean up Falmouth’s coastal ponds— at a cost of a few million dollars, not $600 million. 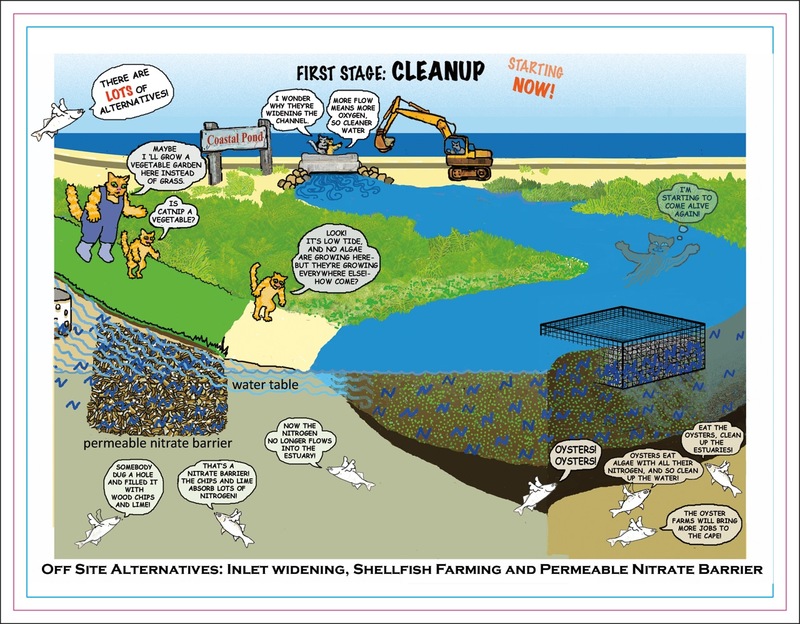 Let’s get started on Little Pond with shellfish, inlet widening, vegetative barriers, Biocord, and other innovative designs that have been shown to work in other locations.